Home »Announcements»Call for Submissions: No Justice? No Peace! 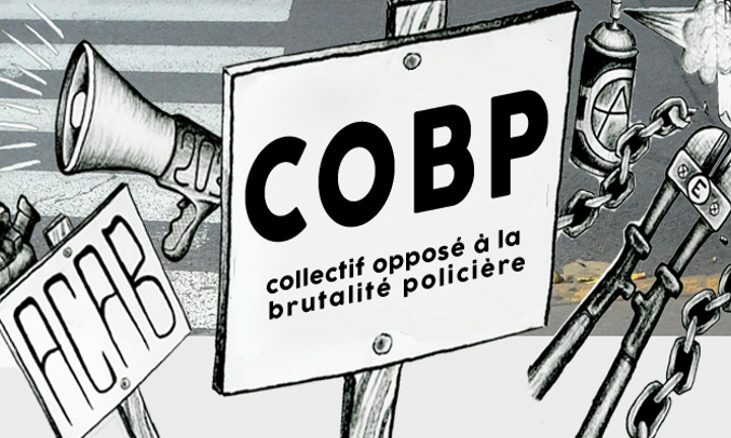 to do so by co-organizing events or submitting articles, essays, comic books, drawings or poems that will be published in the annual edition of our collective’s newspaper, État Policier. on their own. We also invite you to provide images or pictures that illustrate or relate to your text, if you wish to do so. The 2 pages maximum, however, includes the use of images. Please contact us as soon as possible if you plan to submit an essay or a drawing for the journal. Your essays and drawings must be submitted at cobp@riseup.net by February 15th 2018 at the latest. Because the judiciary system, the political system, and their state agent lap dogs) RCMP, SQ and SPVM, etc.) have nothing to do with protecting minorities. Their role is to answer to the needs of the better off: the rich and privileged. Their role has nothing to do with justice, and all with the defence of the castle of the privileged. A castle which is, every day, less sustainable, and less acceptable. An injust society is a society which cannot be peaceful.